As at Stowmarket, the catalyst for the 19th century Catholic revival in Sudbury was a former Anglican, who had been received into the Catholic Church. Before the Reformation, Catholic priests had ministered at three churches in the town, St Gregory, St Peter, and All Saints. But the fiery wind of the Reformation swept these into the possession of the Church of England; today, St Peter stands redundant on the Market Hill, and the town is divided between the other two Anglican parishes. 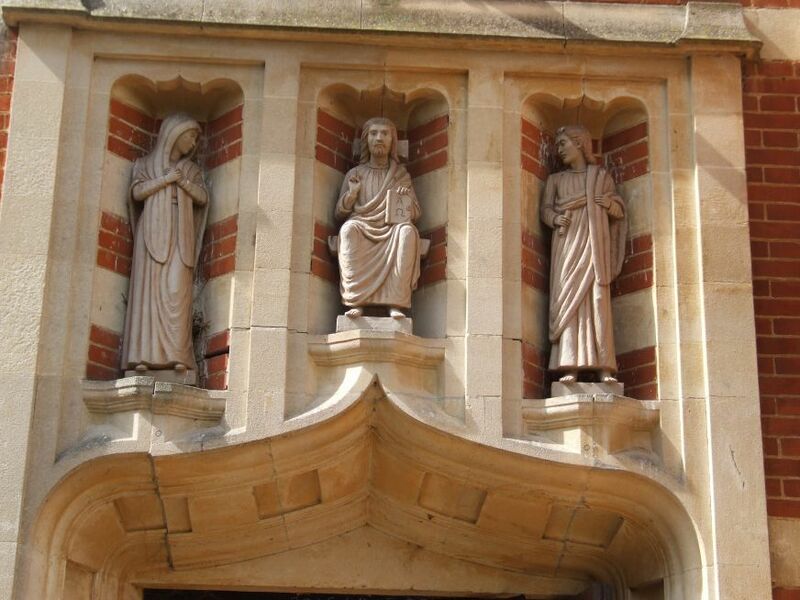 It was in the shadow of one of these, All Saints, that John Flowers and his wife Esther ran their grocery shop. They suffered broken windows and abuse, because they also sold Catholic books and devotional items. 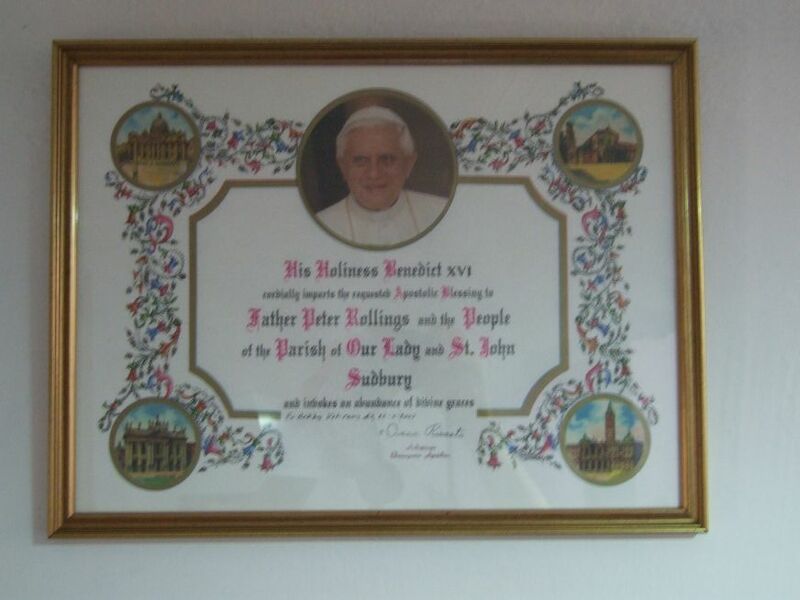 At this time, Sudbury Catholics had to make the 15 mile round trip to Lawshall and back to attend Mass. 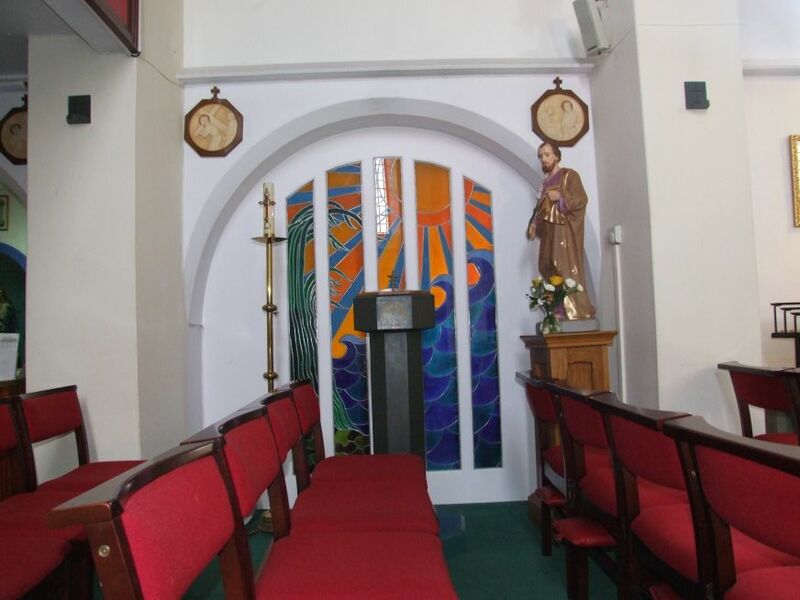 So, the Flowers converted their front room into a chapel, and arranged with the Bishop of Northampton that the priest from Lawshall should come once a month, to celebrate Mass in the town. 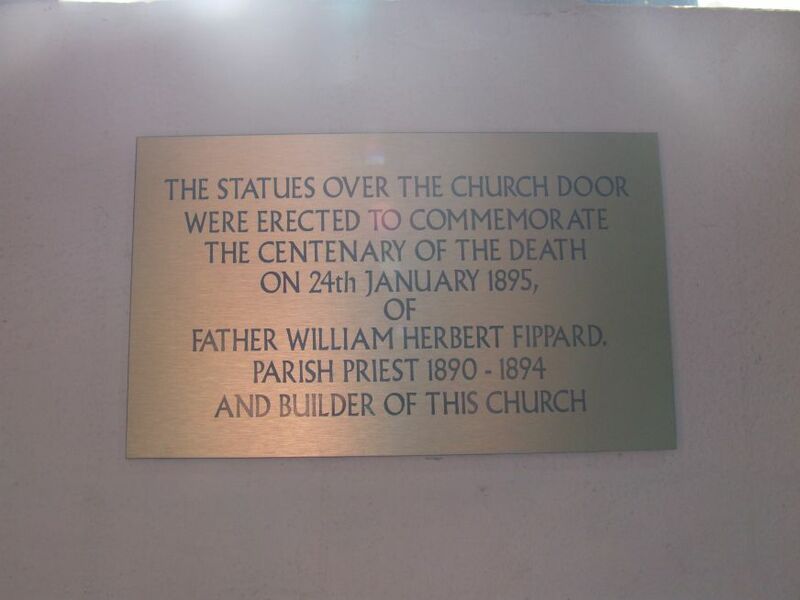 The first Mass is recorded as having taken place on 7th November 1876. 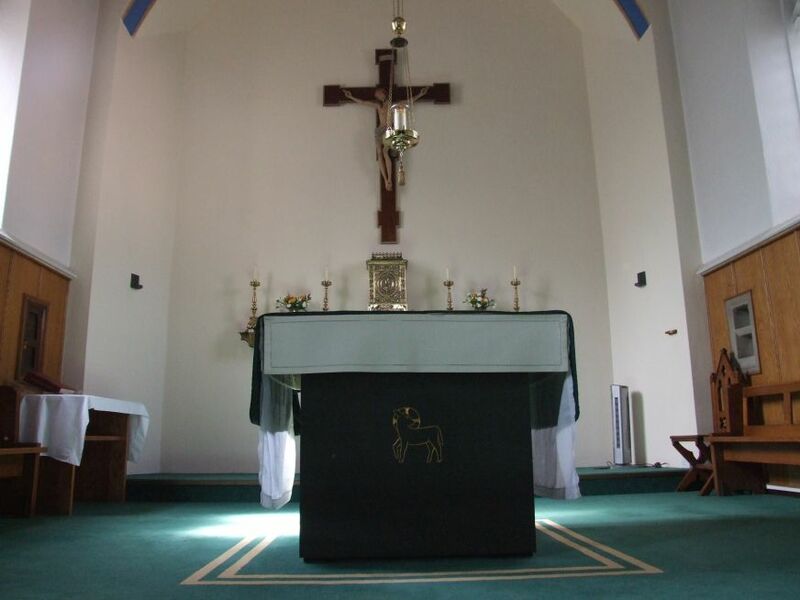 The Priest, Father Rogers, usually came on a Saturday night, heard confessions, baptised babies, stayed over at the Flowers' house, and said Mass on the Sunday morning. Gradually, the congregation grew, as the Catholics of Sudbury became more organised. One of their number was John Kelly, who lived in a house on the Croft, a large open green beside the River Stour, opposite St Gregory. He fell ill, and was nursed by Sisters of the Sacred Heart. When he died, he left his house, Willow Cottage, to the order. It is still their home today. They started a school in it, and with part of a bequest two further cottages were bought, on the other side of the Croft. In one, the walls were knocked through to form a chapel. The other became the presbytery for Father Valerius D'Apredu, Sudbury's first Catholic priest since the Reformation. The industrialisation of the town had led to an influx of Catholics, and the little chapel soon proved wholly inadequate. 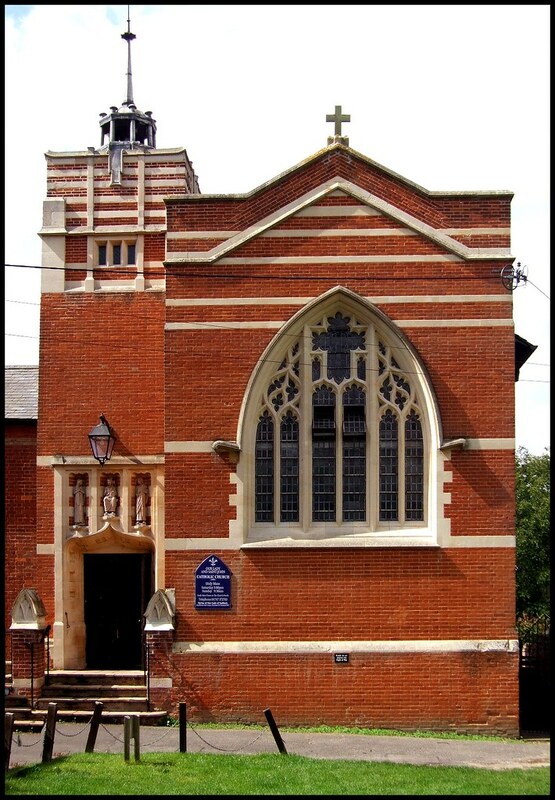 Funds were raised, and, in 1893 the church of Our Lady and St John was erected. The architect was Leonard Stokes and he produced what is probably Suffolk's prettiest building of that decade, a delicate jewel in a perfect setting. It is typical of his work, including a spirelet on the little bell-turret, and white banding in the red brick. That it looks the work of a decade later is testimony to the influence of his work. As you approach the church across the Croft, you might hear the carillon of bells ring out above the images of the Risen Christ flanked by the Blessed Virgin and St John. You step into a narthex porch, and then turn right into the middle of the nave. 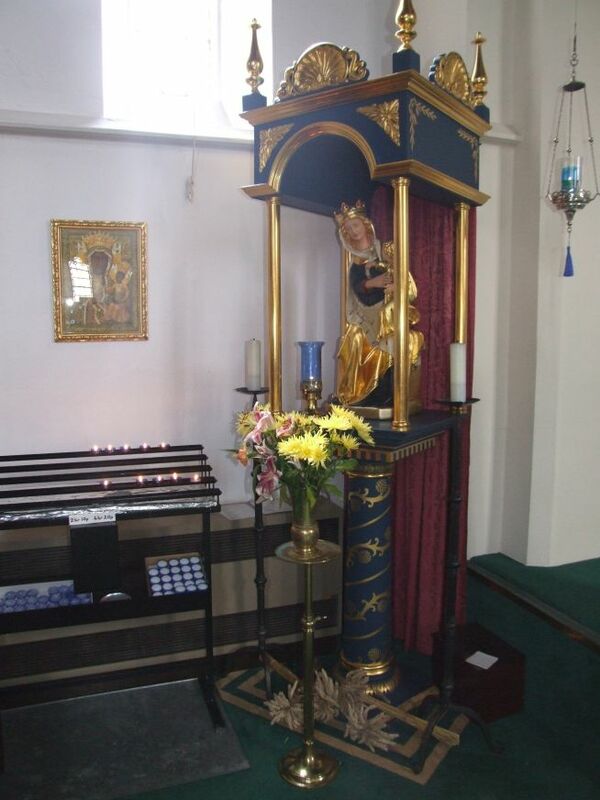 Here, there is the shrine to Our Lady of Sudbury which had been next door in St Gregory before being destroyed in the 1530s. It was restored here at Our Lady and St John almost exactly 400 years later. The post-Vatican II reordering of Our Lady and St John has been reasonably successful, the chancel being simplified, but still retaining a sense of grandeur. Rather less happy are other alterations, made in recent years to increase capacity. The body of the nave has been filled with a balcony, which wholly disrupts the view westwards, and is quite out of keeping with Stokes' delicate architecture. And, ironically, the church still isn't really big enough. As Catholic church attendances in East Anglia rise through the roof, it is small, older churches like this one which suffer from the squeeze. If Our Lady and St John was a 1950s hut, then the parish could cheerfully demolish it and build something new, but that is not an option here in Sudbury. Fortunately, the parish has an extremely hard-working Priest. I was here on the Sunday after Christmas a while back, a day when congregations are notoriously diminished, and there simply wasn't room to move. Three years ago, I was here for the Easter Vigil - there were so many people, you could hardly breathe. Whatever must worshippers think when they step outside and see the massive bulk of the medieval St Gregory, the glory that was once theirs? I have referred to the excellent history of the parish by May Clayton (1989) in my preparation of this entry.